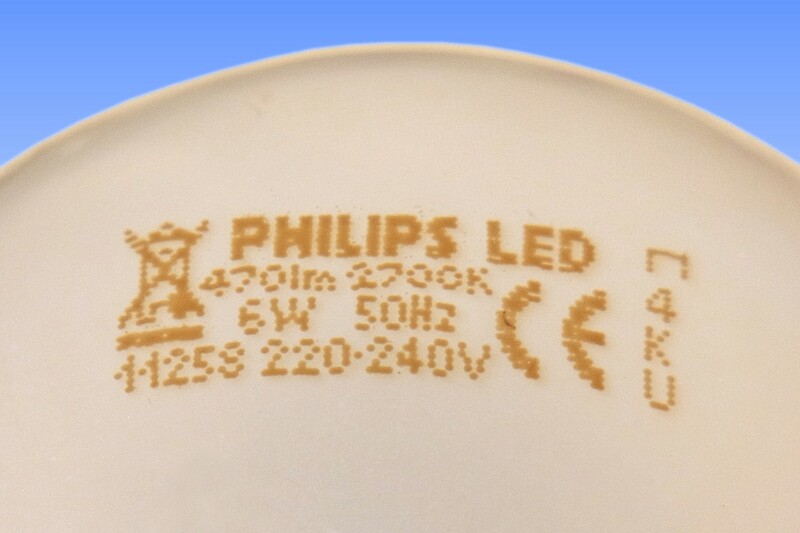 This is the first LED lamp of Philips to replace traditional heatsinks with a conductive gas-filling, so as to achieve a reduction in cost, a return to the shape of a traditional lamp, and to enable production in its own European factories. 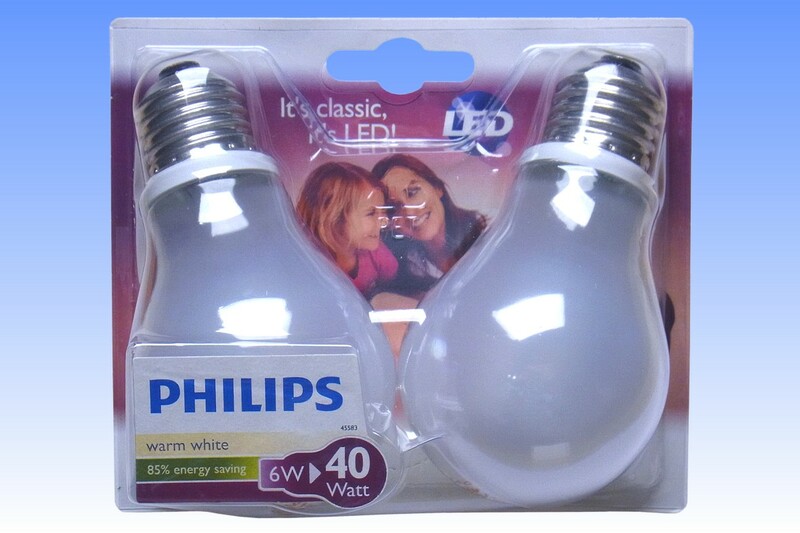 The light source inside consists of eight mid-power LED emitters of the 3020 type. They are single-junction devices, connected electrically in series to form a 24V chain. Each LED is soldered onto a short strip of FR4 printed circuit board, the eight boards being arranged in an octagonal pattern with the aid of small metal tabs which interconnect them electrically and mechanically in a rigid fashion. The resulting 'module' is rather light in mass, and is supported with the aid of a small metal clip on a narrow glass tube protruding from the stem assembly - whose design is very similar to that found in an ordinary incandescent lamp. The mounted stem assembly is hermetically sealed into an ordinary soda-lime glass bulb via the usual glassworking techniques, and has been filled with a helium-oxygen mix. Helium is employed on account of its thermal conductivity to effectively cool the LEDs in a low cost fashion, without need for solid heat sinks. 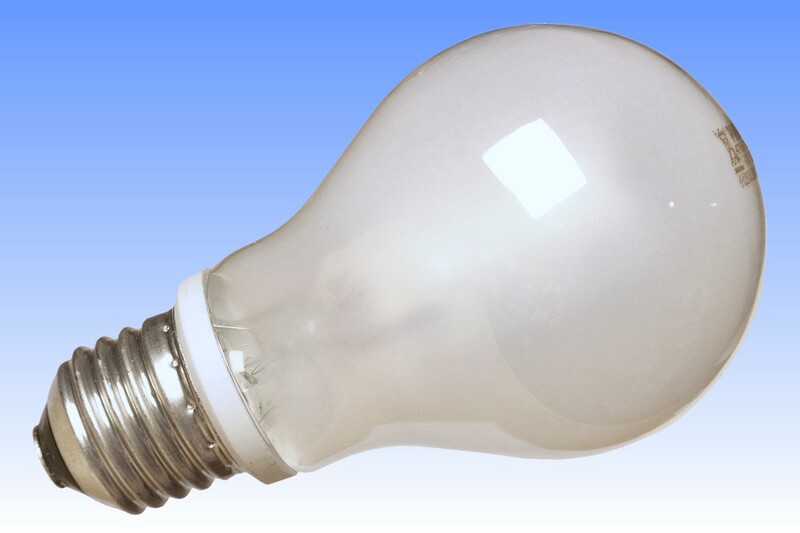 The bulb is internally coated with fine silica powder to achieve a diffuse finish. 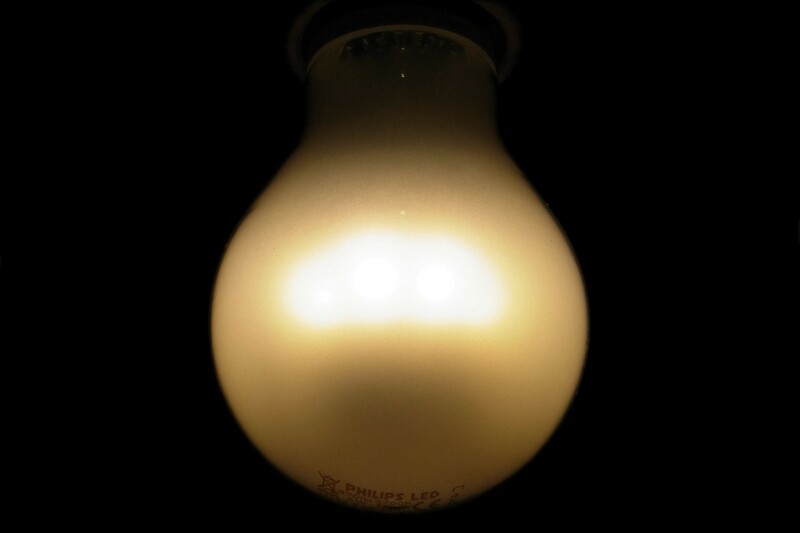 Owing to the cylindrical arrangement of the LEDs, there is, however, a notable dark patch around the crown of the bulb. The base contains a miniature electronic driver which acts as a ballast to limit current to the LEDs. Power factor correction is modest, at 0.6. 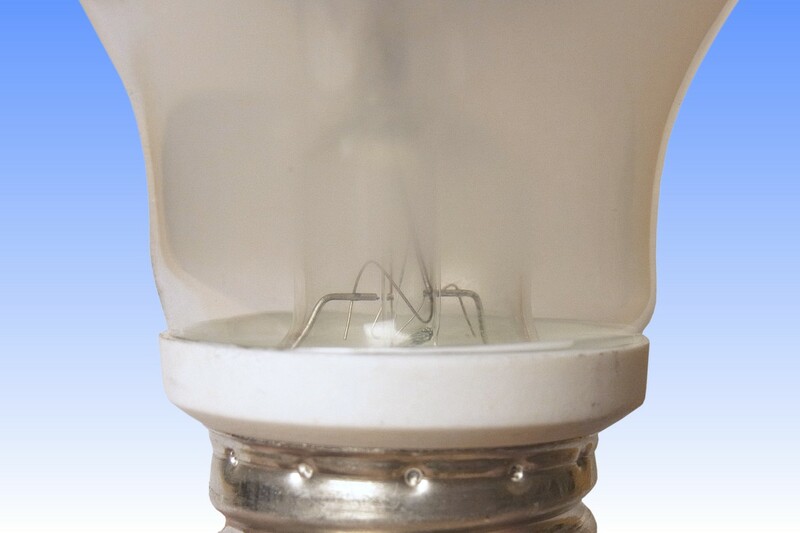 Partly owing to the thermal capabilities of the gas filling, along with the electronics used, the lifetime of the lamp is 10,000 hours - enough for domestic service. 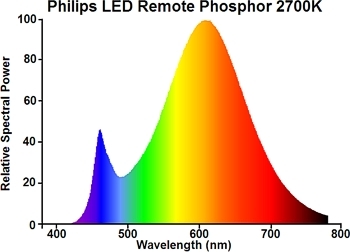 References: 1) Philips Online Consumer Lamp Catalogue, 2014.